Rebecca Lowe is a freelance journalist from London who specialises in human rights and the Middle East. In 2015, she cycled 11,000km solo from London to Tehran. Her first book, documenting her year-long journey, paints a living portrait of the Middle East through its people, its politics and its history, and challenges much of the perceived wisdom about this region of the world. It will be published by Michael O’Mara in early 2020. During her career, Rebecca has written for publications including the BBC, Guardian, Independent, Huffington Post, Economist, Sunday Times Magazine, Daily Mail, Evening Standard, Spectator and numerous travel, music and sports magazines. She has contributed to the adventure travel anthology The Kindness of Strangers: Travel Stories That Make Your Heart Grow, published by Summersdale. 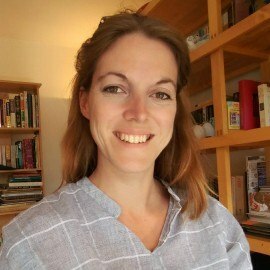 Rebecca has a BA in English Literature from Cambridge University and an MA in Journalism from Stanford University, where she was awarded a scholarship.